ItemBARK_1990.0003.1043 - Unidentified Chinese people (possibly Hoy extended family) in front of a modern house; circa 1960. Item BARK_1990.0003.1043 - Unidentified Chinese people (possibly Hoy extended family) in front of a modern house; circa 1960. 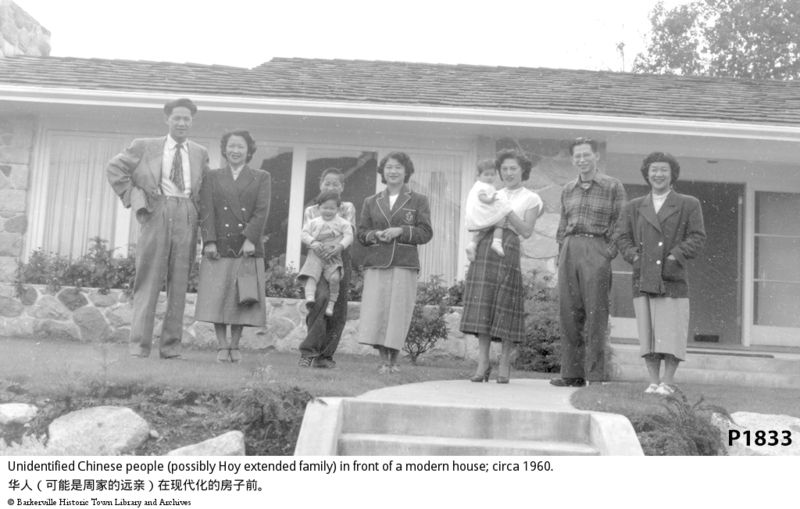 A group of Chinese people: two men, four women, one boy, one young boy, one infant girl, standing in front of a single storey house. See also P 1831, P 1832, P 1834 to P 1836 inclusive. This is Charlie Keen's house on Callanan Street in Quesnel. Several of the Hoy Girls with their families are standing out front.